Recently I watched a documentary film where Mrinal Sen is quoted. Mrinal Sen? It left me wondering when was the last time I heard his name. Honestly, not sure. In which discussion? Well, really not sure. We talk so much about world cinema, but we rarely get to hear the desi names beyond the few obvious ones. People like us, who could easily be branded as the fest-fuckers, are bigger culprits. Even before fests became kind of cool for kids here, Sen had been there, done that. Apart from many other international awards, his Kharij was in Cannes Official Competition and bagged the Jury Prize in 1983. His another film Akaler Shandhaney (In Search Of A Famine) was in cometition at Berlin Fest where it bagged the Silver Bear in 1981, and at Venice Film Festival, Ek Din Achanak got an Honourable Mention. Do watch the films if you haven’t. Back to Sen, and we have a new segment – Just A Page. The film reminded me of his memoir, Always Being Born. I had read it long back. As soon as i came back home, i took out the book and read few pages. Ironically, even at the risk of it being used to poke fun at me for obvious reasons (by friends and well-wishers mostly), am going to quote a page from this book. Quite a terrific one. Do read. Suddenly, from behind a boulder on which I was seated, appeared a boy, hardly ten, the external anatomy giving the appearance of a beggar. He stood before me, but unlike a hungry beggar, his eyes were bright. I smiled and he smiled back. I pulled out a ten-rupee note, quite a fat amount in those days, and gave it to him. He could not believe that the amount was meant for him. I drew him close, patted him on the shoulder and gave him the push with a smile. The boy ran away with the money, looked back from a distance, his eyes beaming, and disappeared. Instantly, I felt I was a different man altogether. 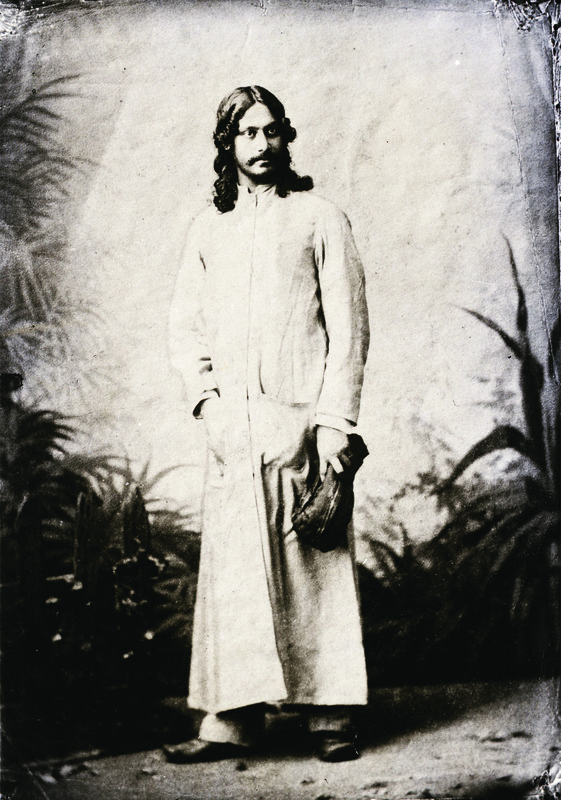 I sprang to my feet and, with nobody around, i shouted at the top of my voice and in ecstasy uttered a few Bengali words, Dekh-re Shala’ra, Kemon Aami Nirbaashan’e Aachhi! (Look bastards, I’m an exile here!) And there was nobody around. Bengali, for the first time in last three days, because it was Greek in Jhansi. Could there be a streak of madness in me? Or, to quote Jacques Tati or getting a kick from Chaplin, Inspired Nonsense? I, then, returned to my hotel, shut myself up in my small room and moved towards the tall mirror. Standing before the mirror, I could see myself from top to toe, head to foot. Watching me, I enjoyed looking at “it”. As I looked deep into the eyes of my ‘double’, I wanted to see more of ‘it’, the whole of ‘it’. Without caring to behave myself, I made a violent move to strip myself. There you are, Mr Mrinal Sen, one who read a lot on cinema, wrote substantially on its aesthetics and made frantic efforts to impress others! Now, here you are, Mr Sen, a dawai-walla (medicine-seller), who once wanted to be a filmmaker! Didn’t you, Mr Sen, manage to hook a money-backer and finally backed out for fear of making lousy film? Oh, no! Serve your bosses well, rot here and try to get an increment. To feel bored is not your business, you cannot afford it, can you? So saying, I made faces, muttered words in languages I know, then giggled and laughed and made all kinds of absurd gestures and finally, unable to control myself, I cried. Cried like a child. All alone in a hotel room in Jhansi! After three days, I sent a long telegram to the management in Bombay and I resigned. You can order the book from Flipkart here. Back at the mass communication school, we loved to name-drop everyone from De Sica to to Ray and of course, the different schools of thought, ideology and cinema that Ray and Ghatak represented. 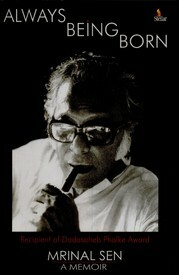 Nobody ever spoke of Mrinal Sen, not even the handful who had seen his work. Perhaps because he was less heard-of in our peer group? This post gives a rare insight into the mind of a genius, who is, quite like us and unlike us, in that he lives, and confronts his fears and ventures out of the comfort zone, which begins to smother one. Ordering at Flipkart immediately. Pizza – should filmmakers “cheat” us?